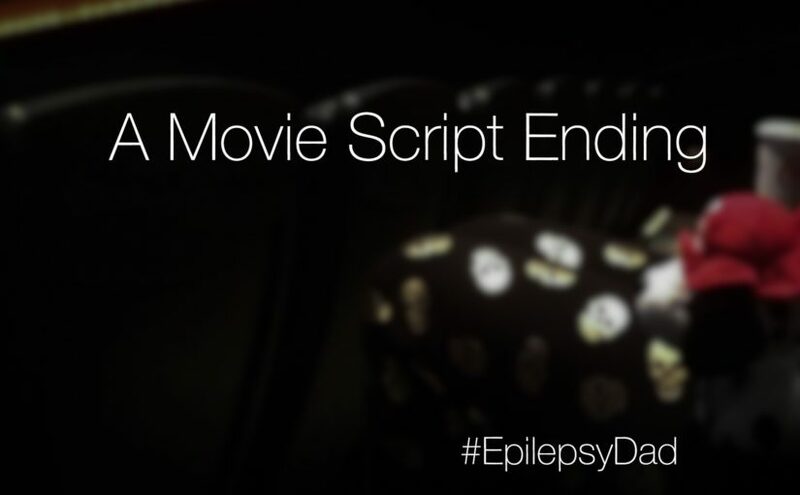 Our journey with epilepsy has the makings of a movie. It has the time before. The time before epilepsy. The time before seizures. The time before medication, and side effects, and surgery. It has the inciting event. The first seizure in the lobby of the arcade. The second seizure onboard an airplane. The “ticks” that turned out to be seizures that snowballed into status epilepticus and months in the hospital. The days when my son couldn’t talk or move. The night when my son was surrounded by a team of doctors trying to save his life. 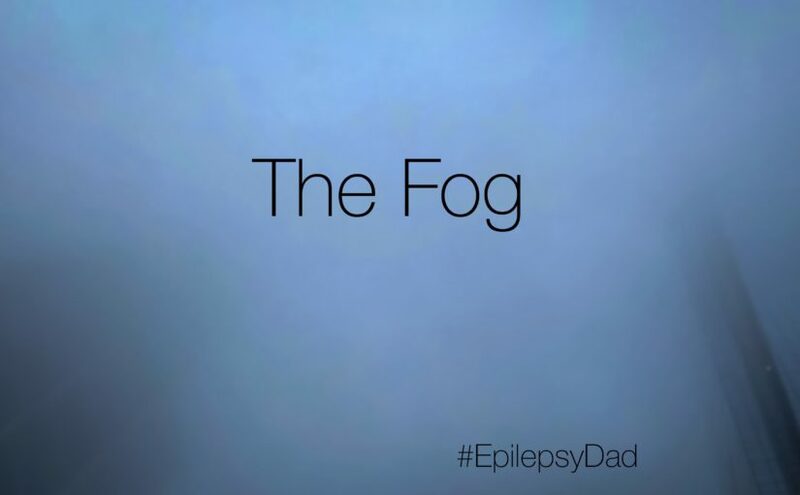 It has an enemy and its name is Epilepsy. It has the struggle. Every day. Early morning seizures. Exhaustion. Navigating the world in a fog. Trying to keep up. Learning. Behavior. Therapy. Rebuilding. But it doesn’t have an ending. In the movies, the hero faces challenges, defeats the enemy, and returns home victorious and transformed. But we’re still on the journey and there isn’t a clear path home. Our enemy is one that he could face for a lifetime. I started this post years ago. It sat unfinished, but I had an idea of how I would end it. 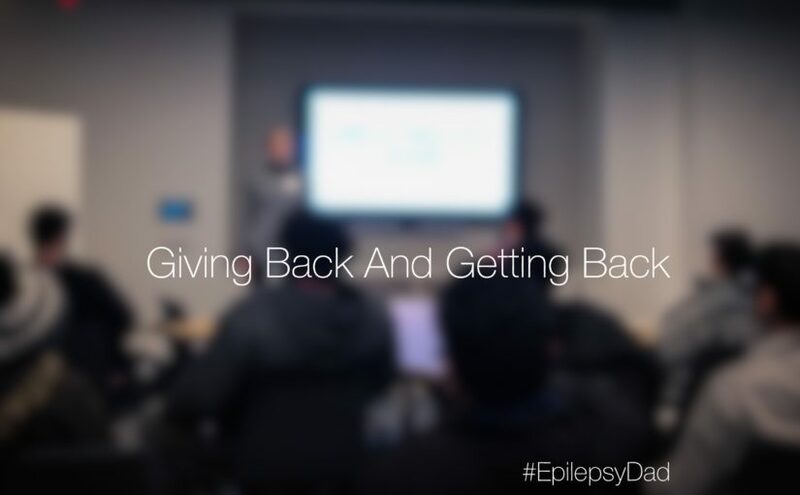 Compassionate people reassure us and say some children grow out of their seizures. We smile and nod, but its like they are watching from the seats in the theater but we’ve seen the script. We know what’s going to happen next but don’t want to reveal any spoilers. If they knew the ending, this isn’t a film that most people are going to hang around to see. Because people love a happy ending. I wrote that at a time when things were exceedingly hard and relationships with the people around us were being tested. Some of those people are no longer in our lives. But, in spite of how I felt it was going to play out at the time, some people stayed. We’ve gone from feeling as if we were always going to be alone to cherishing what we have. Who we have. It is true that our story may not have an ending, but it does have one more thing. The journey revealed many lessons about ourselves and the people around us. It showed us who is in our corner. The struggle forged stronger bonds. The journey has given us allies and surrounded us by our village. Our people. Our family. And we draw so much strength from knowing that we are not on this journey alone. We’ve had countless conversations with my son that all end the same way. We’ve tried repeating ourselves. We’ve tried to use smaller words. We’ve tried to use fewer words. But too many times, that process inside his brain that converts what he hears into something he understands breaks down. It could be related to his seizures. It also probably has something to do with the handfuls of pills he swallows every day. But he lives his life surrounded by a thick fog and he struggles to find his bearings. In conversations when we’re trying to explain something new to him, I can see a faint recognition. It’s like seeing a shape through a really thick fog. He knows there is something there, but he doesn’t know what it is. When we talk about a memory, even a big event, he has the look of seeing the edge of something familiar that he knows he should recognize but he can’t really place what or where the object is. In those moments when he can recall something, it’s like he is looking at something only a few feet in front of him. But then it backs away into the thick, white cloud and is lost again. It makes me think of trying to navigate a new city that is covered by fog. You might know the general direction to start in, but haven’t yet memorized the entire route. The tops of the buildings are obscured by the fog, so you navigate by finding landmarks at ground level. Most of the references are unknown. Occasionally you’ll find one that looks slightly familiar but is unhelpful because you don’t have the context of where it sits in relation to anything else. When you find something you recognize, you get the brief satisfaction of knowing where you are. You might turn in a certain direction. But as soon as you step away from it to continue your journey, you’re lost once again. We do our best to help him. We’re pointing out the landmarks, hoping that he’ll recognize more of them so that he can more easily know where he is. We’re getting him help so that he can develop the skills that he needs to find his way. And we’re calling out to him when he is too far away to see us so that he knows that we’re still there. But there is nothing we can do to lift the fog itself. Recently at work, I had an opportunity along with a handful of colleagues to speak to a group of high school students with special needs. The goal was to share our experiences working at a large company, to talk about our background and how we got to where we were, and to highlight practical skills we thought helped make us successful. “Generalized seizures, ” I replied. “Refractory…we’ve tried a bunch of different medications but he still has seizures.” The young man paused, then mentioned his current medication. I gently interjected and suggested that we talk more after the other speakers. He smiled and nodded, and I continued. The kids were great. They were attentive. They were curious and asked questions. And they were gracious. After each speaker, the students clapped enthusiastically. After all the speakers had gone, the floor was opened for questions. Two of the students asked technical questions about platforms and architecture. Others asked questions about our company and our products. They asked what kind of jobs our company had. And then one student asked if our company would hire someone like him…someone with a disability. The student who asked it was one that I had chatted with before the event. He asked about how much math I needed to do for my job because he wasn’t that good at math. I am surrounded by people with PhDs in math, I thought, but I told him that it depends on the type of job and that our company has a lot of different types of jobs. Now he was asking if our company would consider including someone like him. Someone like the other kids in the room. Someone like my son. I didn’t know how to answer his question so I rattled off a list of facts about my company. “Well, our head of accessibility is blind,” I stated. “And I know other people in the company who have other conditions that don’t prevent them from working here.” I mentioned our employee resource groups, including our “Abilities Network” that builds a community around special needs, except I used the word “disabilities”. I stopped talking and I listened. I listened to this teenager as he spoke directly to me about a hopeful future for my son. It was as if he saw right into my fear about the future and wanted to let me know that it was going to be okay. It took me so off guard that I had to struggle to keep my composure. When he was done, I thanked him. Because I know that everything he had said was a gift for me. A gift to take home to my son. A gift to carry forward in my life. A gift to share with the people around me. I walked into that room to give a piece of myself to those students. I wanted to tell them about my story and my son’s story to connect with them and to inspire them. I didn’t expect to get anything in return, but I got back as much as I gave.